Have you ever dreamed that one day you can stand on the top peak of Indochina (the Fansipan top mountain) within only 15 minutes? Your dream now is become true thanks to the amazing cable system which had been inaugurated early this year 2016 in Sapa. 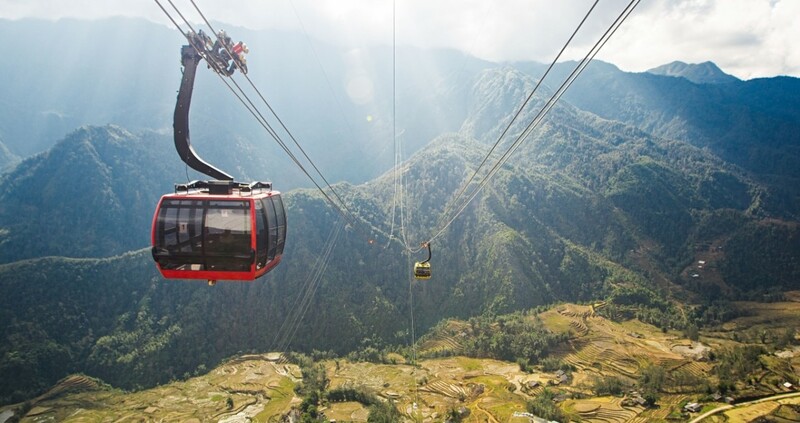 Only opened on the occasion of Vietnam’s Lunar New Year, the cable route has welcomed thousands of tourists coming to Sapa to make their dream of conquering the highest Indochina peak to be real. Vietnam Typical Tours is always by your side to discover Sapa. In the past, Fansipan normally takes climbers two days to cross the challenging route to reach the top of Fansipan, but everyone can now touch what is also known as “Indochina’s Roof” within 15 minutes thanks to the cable car system. Each cable car is capable of carrying 30 to 35 passengers, and the whole system can transport up to 2,000 tourists per hour. 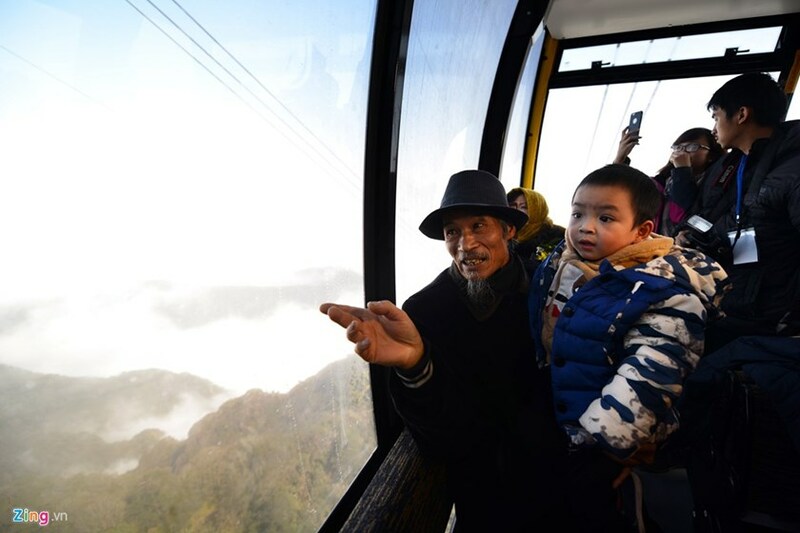 The system is resilient to extreme weather in the northern mountainous province that everyone, including children and the elderly, can now explore Fansipan’s peak. Measuring 6,282 meters, the Fansipan cable has been recognized by the Guinness Book of World Records as the world’s longest three-rope cable car route and the world’s biggest ascent between the departure and arrival, measuring at 1,410 meters. Accordingly, people from Lai Chau, Hoa Binh, Lao Cai, Yen Bai, Son La and Dien Bien provinces will enjoy preferential prices of VND400,000 per each adult, VND250,000 per each child of 1 – 1.3 meters, while children under 1 meter can ride free of charge. The discounts are applied from Monday to Friday. The discounts aim to create more chances for people in the mountainous provinces to conquer Fansipan peak, the roof of Indochina which was recognized with two Guinness Records: the world’s longest three-strand cable car (6,292.5 meters) and the world’s biggest height gap (1,410 meters) between its departure and arrival stations. 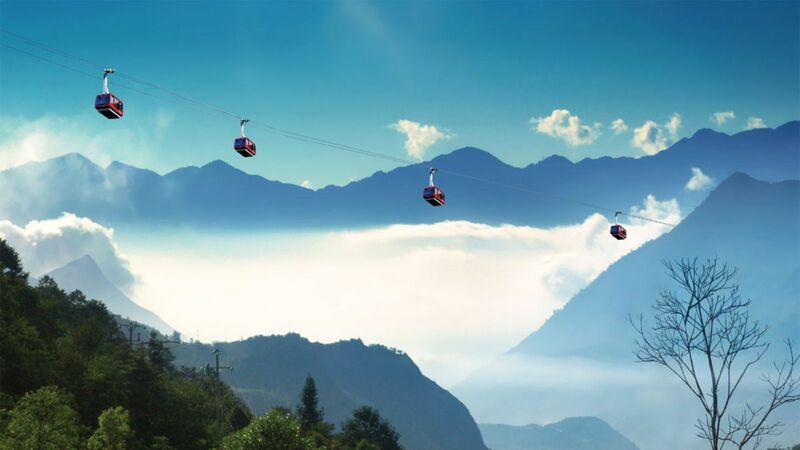 Put into operation from February 2016, the telpher is attracting thousands of tourists each day, contributing to creating driving force for the tourism development of Sapa in particular and Lao Cai in general. Getting to the peak of Fansipan is just in the blink of an eye, For more experiences on routes on Hoang Lien Son Mountains you can pass bamboo forest, take a walk on old path to get down the height of 2.800m and take a rest and have lunch there. More over at the height of 3000m locate place of spiritual tourism and this is most beautiful place with the stunning view that more and more attract visitors. You will be back to the cable car station and return Sapa town on the afternoon. Once you step your foot into the cable cabin, you will eager to contemplate the 3000 meter – underneath magnificent landscape: endless clouds, terraced fields of the local ethnic group, Muong Hoa green valley hidden behinds dangerous and sheer rocks of Hoang Lien Son mountain chain, etc. All that things would bring you a sensation of flying on a new land, which is very special and excited. Experience with cable car bring you strange feelings and that is difficult to express, far away from the peak of Fansipan and hidden under clouds and forests being romantic Sapa town with the ancient villas, styled western. Whenever you have chance to Sapa town, do not forget to have the interesting experience to Fansipan Mount with our Fansifan Tours.